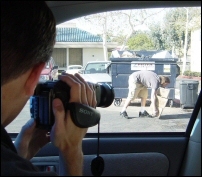 On occasion our clients notice that they are being followed and videotaped by an investigator. We refer to this as surveillance. These investigators are hired by your employer’s insurance carrier to monitor and record you. Contrary to what you may believe, it is completely legal for your employer’s insurance company to videotape you. Despite warnings, there are some injured workers who will continue to engage in activities inconsistent with doctor recommendations. Insurance carriers often spend a few hundred dollars to hire an investigator to videotape you with the hope that they will catch you doing this. If the investigator obtains footage of you disobeying your doctor’s recommendations it can destroy your credibility with the insurance carrier, with your treating physician, and with the judge assigned to your case. Many physicians may even change work recommendations if the footage shows you working outside of your restrictions with little or no pain. Surveillance can be a powerful tool for the insurance company. The moral of the story is never do anything above and beyond the work restrictions the doctor has advised. At times you may be tempted to tough it out or to test your limits, but doing more than has been advised could be detrimental not only to your case but also to your health.